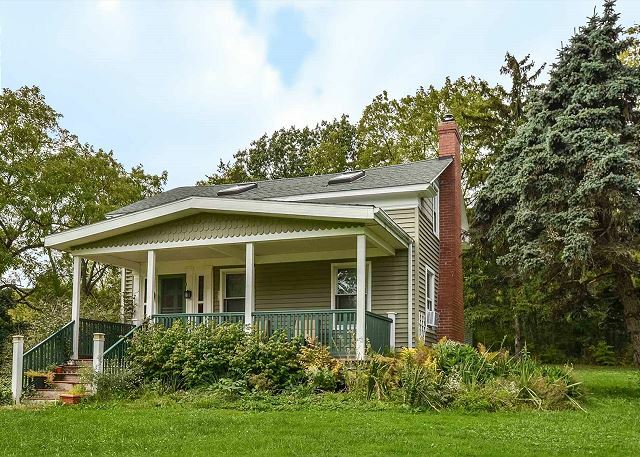 Centrally located between Seneca Falls and Ithaca you'll find yourself with an abundance of Finger Lakes fun right at your fingertips when you choose to stay at Sheldrake Cottage. Acting as overflow from beautiful Sheldrake House, this quintessential cottage is cozy and cute as a button. Sleeping four with a loft bedroom overlooking the main living area, this gem is the perfect in-law suite addition when you book a stay at Sheldrake House. 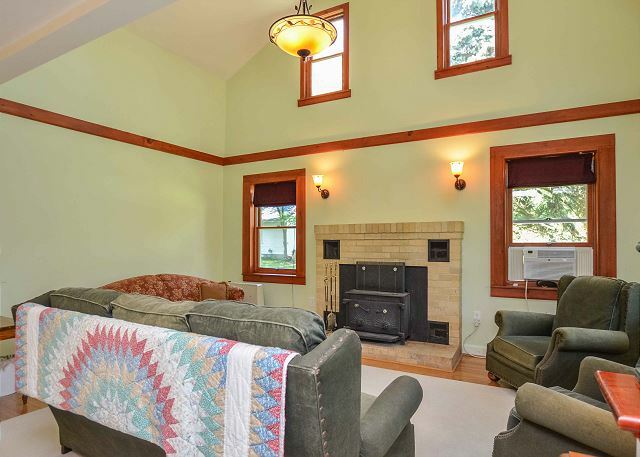 The entry level greets you with an open floor plan and beautiful brick fireplace. Large windows allow light to shine in and offer a cheerful ambience to the room. 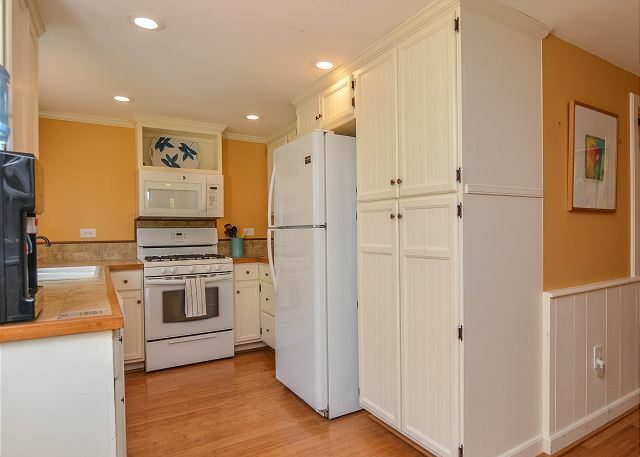 The galley kitchen is just through the next room and offers sunny yellow walls and white cabinetry. 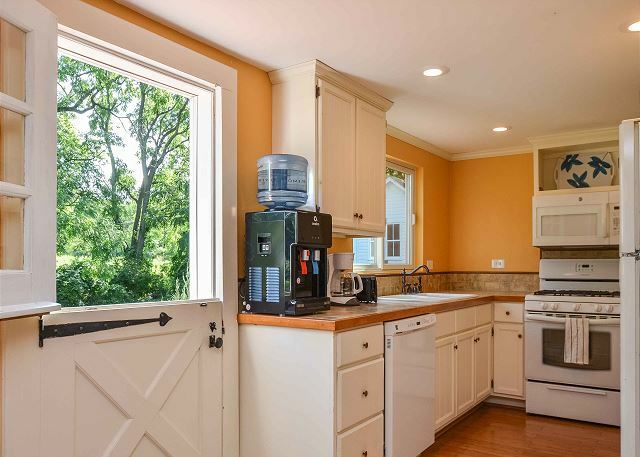 You'll find the kitchen stocked with a plentiful supply of your favorite cooking gadgets. Completing the lower level you'll find a full bathroom with shower/tub combo. 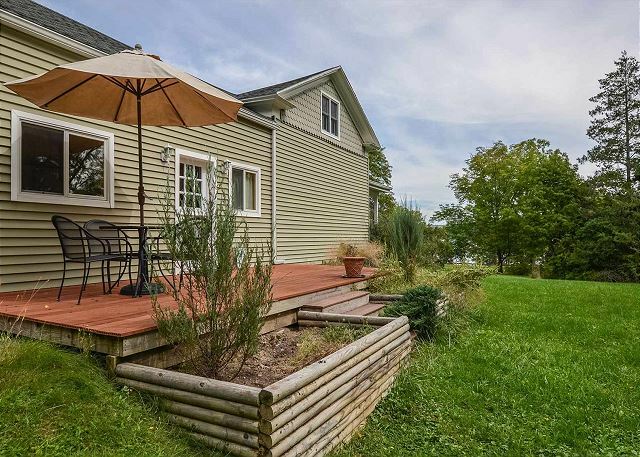 Off the kitchen, a patio with outside dining is available, offering both a garden and lake view. Enjoy some quiet time here before mingling with the rest of your friends and family at Sheldrake House. 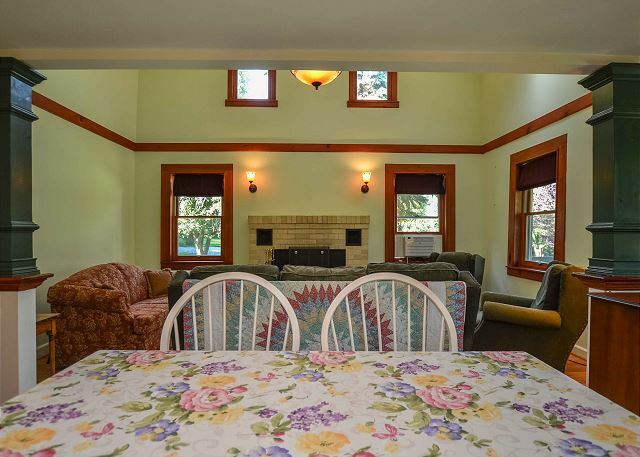 Booked together, these two homes offer sleeping for 16, with a beautiful large yard. Call and make your reservation today!